Suffering from a slow MAC? Here at Union Street all our creative work is done on MACs and with multiple projects with so many deadlines, it’s vital our machines run at full spec. 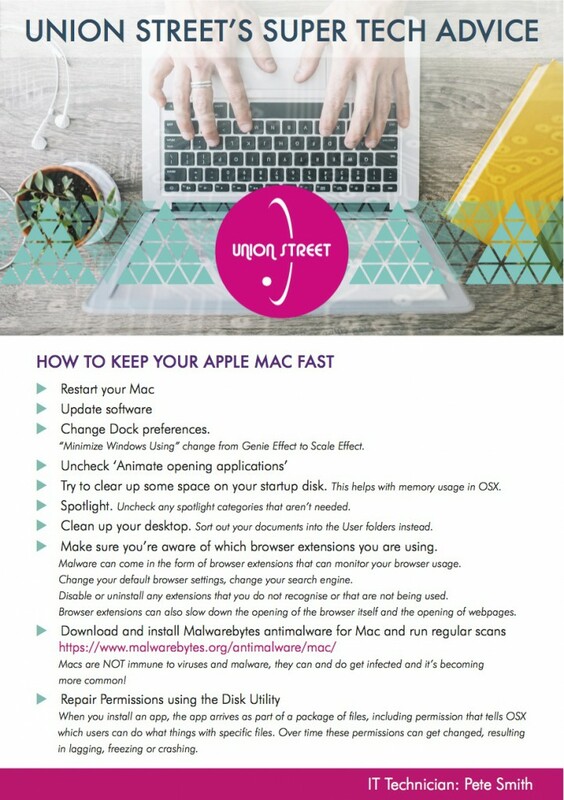 Our IT Guru works tirelessly to keep them going and has put together a tech list detailing the main points that you can do if your MAC is running slow.